Choose your favorite objects for a still life , have your favorite flowers painted in a special vase , have the view of your property or a special location featured in oil on canvas! Once the size and subject are decided upon , James prepares the finest Belgian linen canvas himself using 16th and 17th century methods which contribute to the quality and permanence of the artwork. 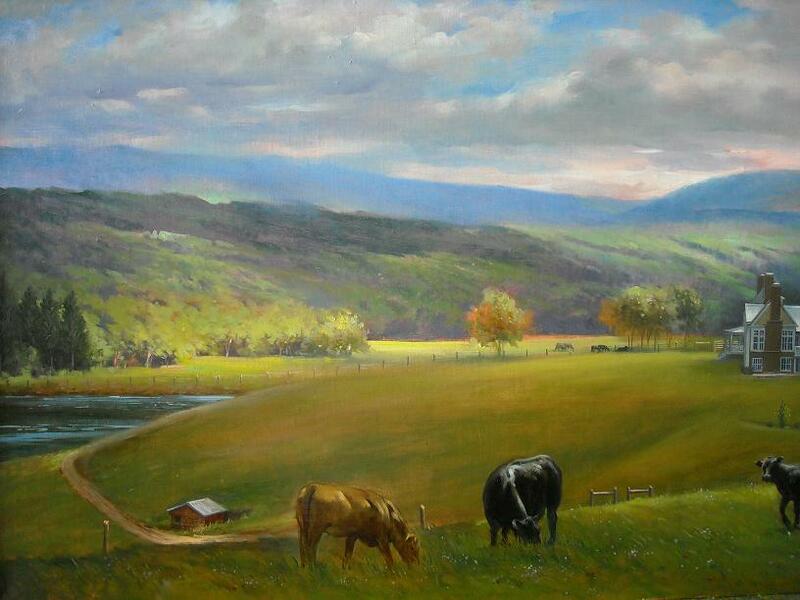 He uses oils and varnishes made in his studio as well as the finest hand-ground oil paints . PRICING: The cost of the painting is determined by the size and the amount of work involved . PAYMENT : One half of the total cost is required to begin the project and the remainder is due upon completion . FRAMING: The cost of framing is not included in the price of the painting. But James can advise on framing if the client wishes .